Introducing the most convenient way to keep your car clean all year long. We are pleased to introduce our Signature Membership. These plans will revolutionize the way you see your car. We are no ordinary detailers, with the highest rated reviews anywhere online, and breathtaking results, becoming a member is a must for all car owners. We hope you will take the opportunity to enjoy this unique way of experiencing a like-new car day after day. K. Wallace Signature Detail , your exclusive source for high quality service, will offer 3 tiers of membership programs. Basic Membership for those that want a lightweight way to keep their cars clean. Advanced Membership for those that are inclined to the new car feeling. Elite Membership for individuals that want to get the most out of their driving experience and aren’t afraid to show it. Designed for car lovers, the services associated with each tier have been custom designed to give the car what it needs, with a little more service to give the owners what they want. 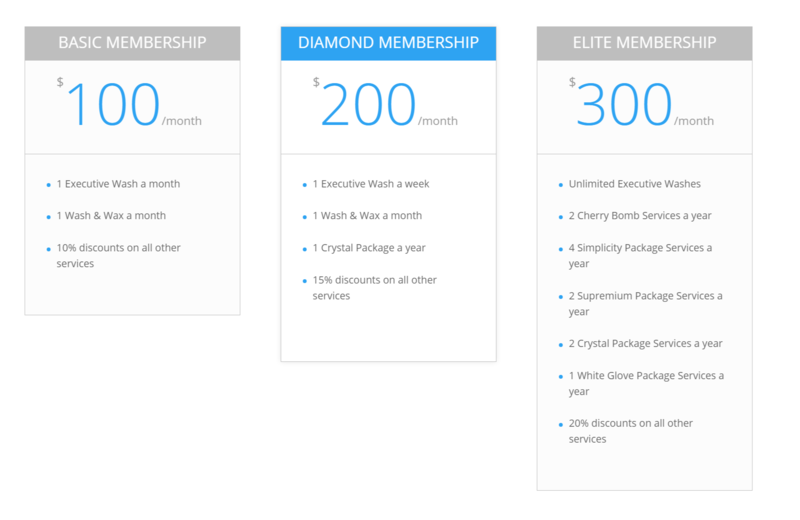 From basic washes every month to our Signature White Glove Service, these memberships are like a dream come true. This message is only being released on social media–so we ask that you spread the word among your friends and family by sharing this info. Thanks to all of you. We hope you enjoy this unique opportunity! The Signature Membership is available now and only at K. Wallace Signature Detail. Drop in or call to sign up today.